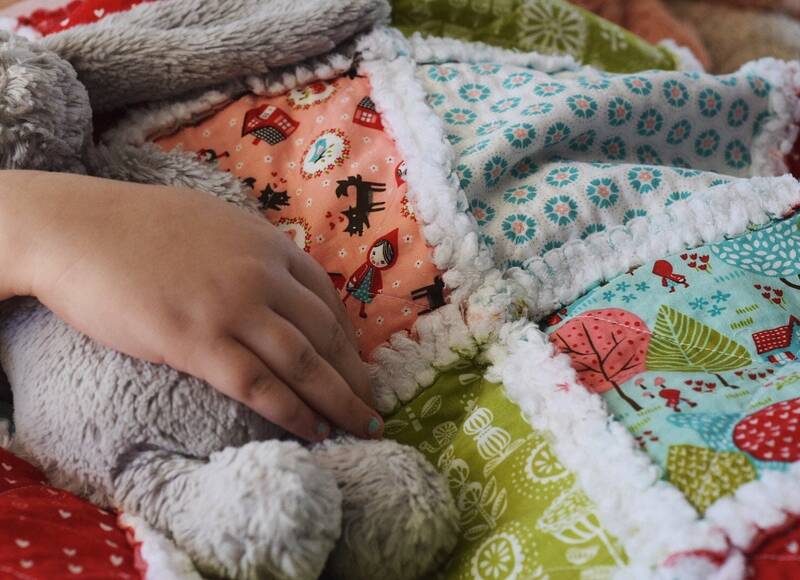 Our Rag Quilts are handmade with the coziest designer fabrics and backed with super soft white chenille. They are not only a great addition to bed time but could also become your child's favorite cuddly blanket. 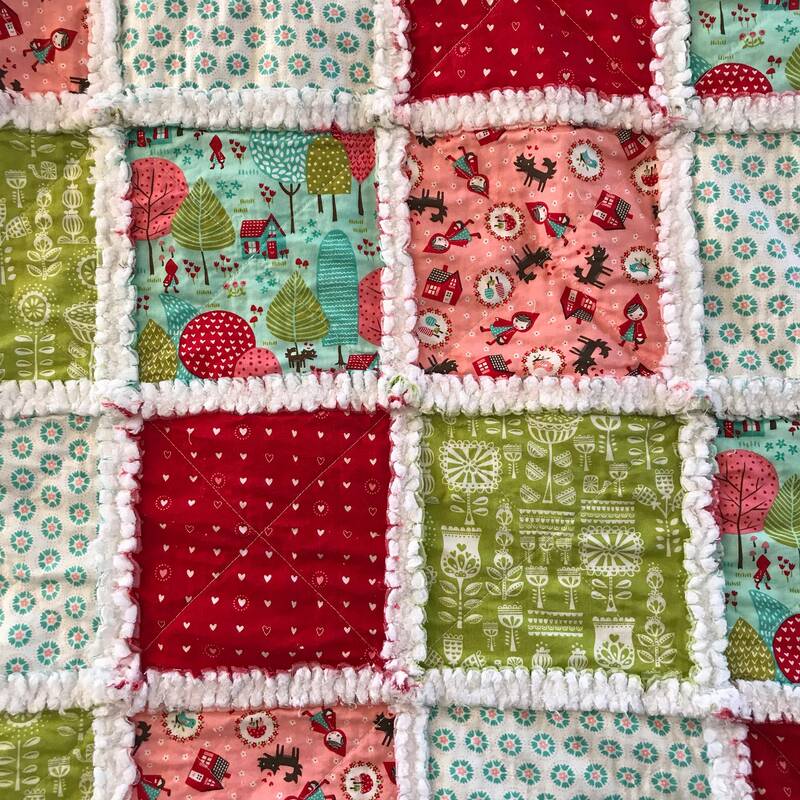 So if you ask us, our quilts might be the most important thing we make! 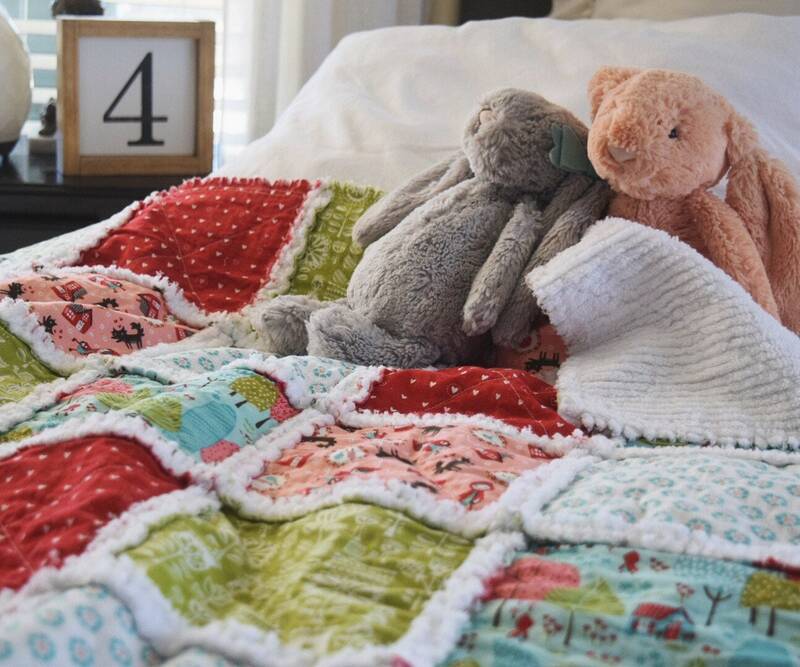 What could be more precious than a baby growing up with one of our handmade quilts as their favorite blanket? It warms our hearts to imagine such a thing. 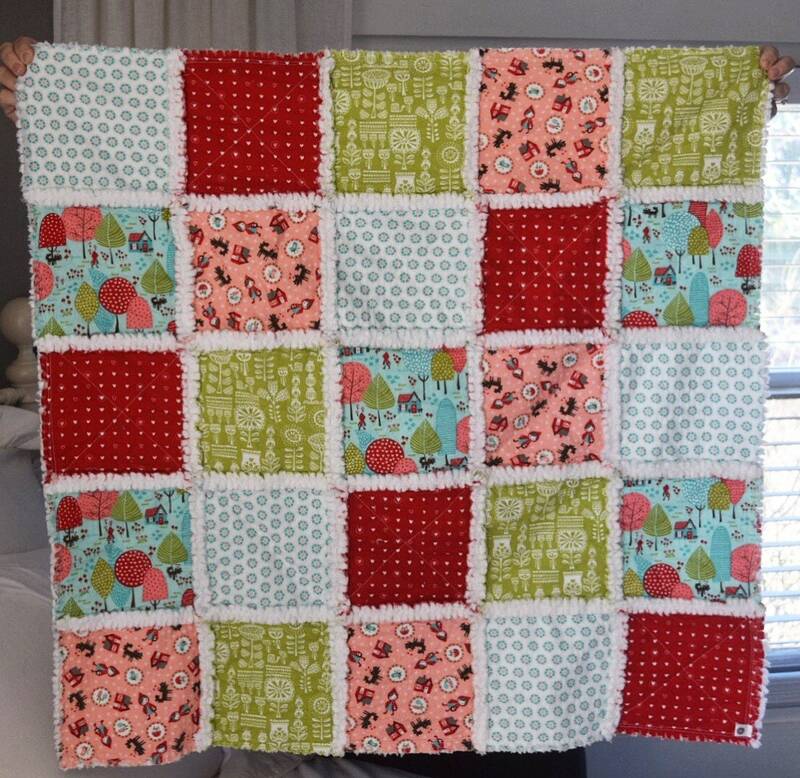 So if you can also imagine your little one snuggled up with a handmade quilt, I hope you will consider one of ours! It would truly mean the world to us! 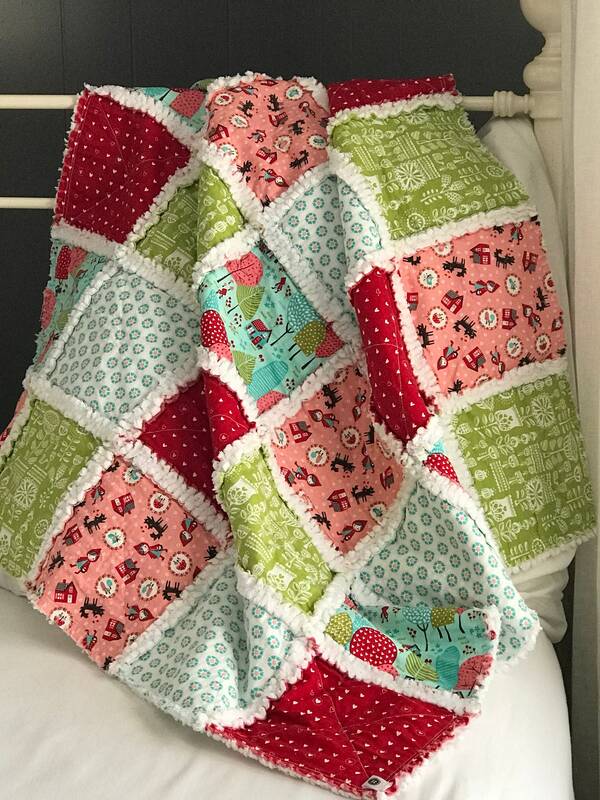 Makes the sweetest Baby Shower gift! Machine wash warm/cold, tumble dry low.